Scott Plasma 20 – A New Bike! 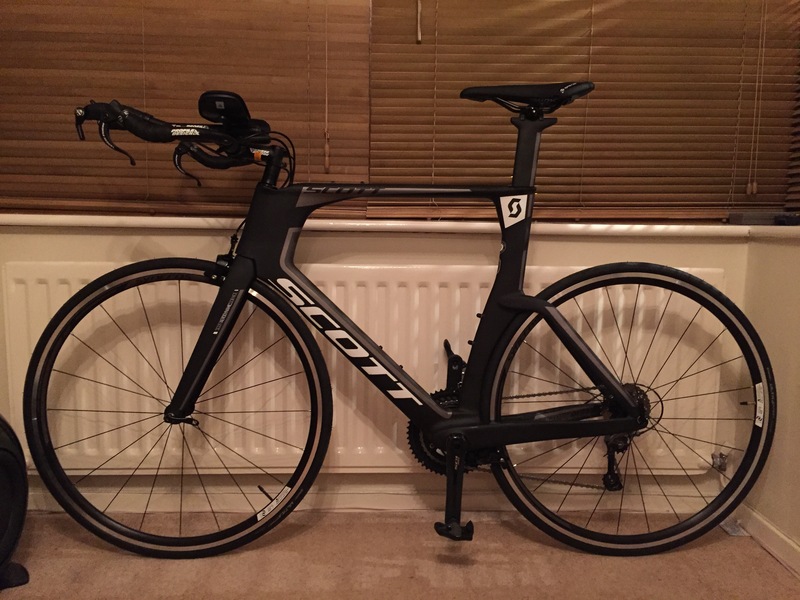 Following on from my post earlier this year I have finally taken the plunge and purchased a Triathlon bike. After seeing an article on Bike Radar about a Guru Fit I decided to get in touch with Cycle Studio as they a) carried out the fit in question and b) are just down the road from me. As may have become clear on here I tend to research things quite a lot and after numerous discussions I decided that before taking the plunge on a bike I wanted to be sure I was getting something that would fit me. The whole process took around 4 hours and Matt, the fitter, was great at talking me through the whole process and explaining to me what we were doing and why. I walked away with a good understanding of the position I could get in to and fortunately a list of bikes that were suitable. Part of the fit involved testing crank arm length and I was quite surprised to come away with a recommendation of 165mm arms; quite short but they difference they made in both feel and cadence/power output was quite surprising. Thankfully the list of bike choices included a number that were on my previous dream list but based on pricing as a key factor in reality it came down to a Felt B12, Scott Plasma 20 or BMC TM02. The BMC was discounted early on as I seemed to have missed out on the good deals on the 2015 models and the 2016 ones were over my budget. 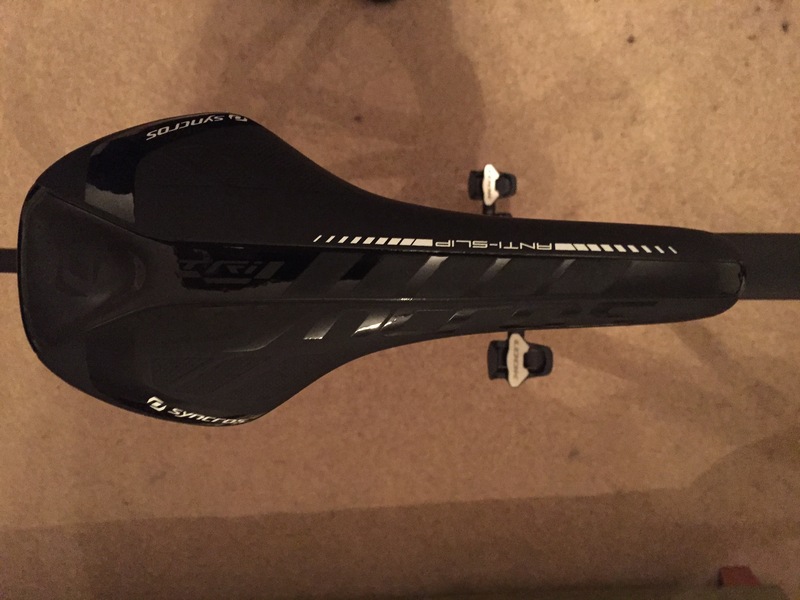 So down to a two horse battle there really wasn’t much to choose between them with the deals available; the discount available on the Scott Plasma 20 from TriUK was too tempting and it literally has my name written all over it, So I present…. 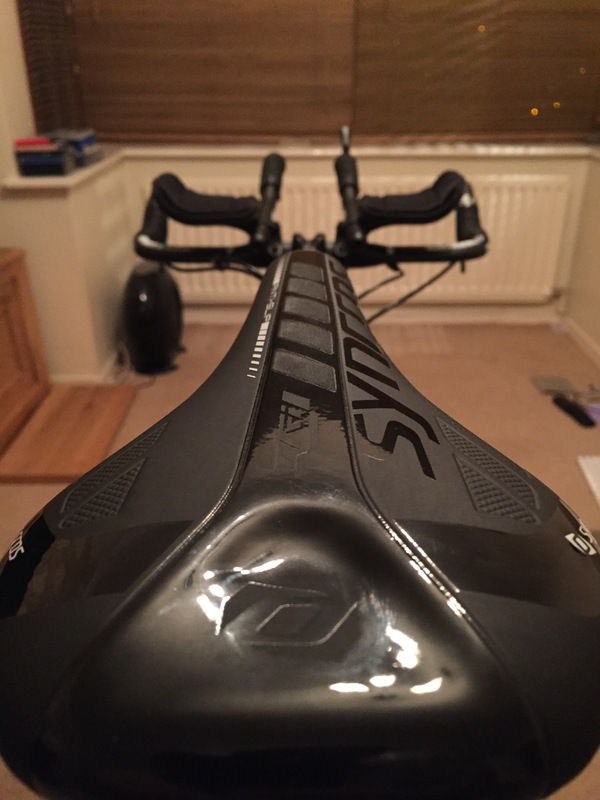 Syncros RR2.0 Tri Saddle – not very comfy! TriUK were great going through the whole purchase process and I was able to upgrade the standard cranks to 165mm Shimano 105’s with 52/36 chainrings for a small fee. Ultimately I want Rotor INPower in there, but couldn’t justify the cost just at the moment. 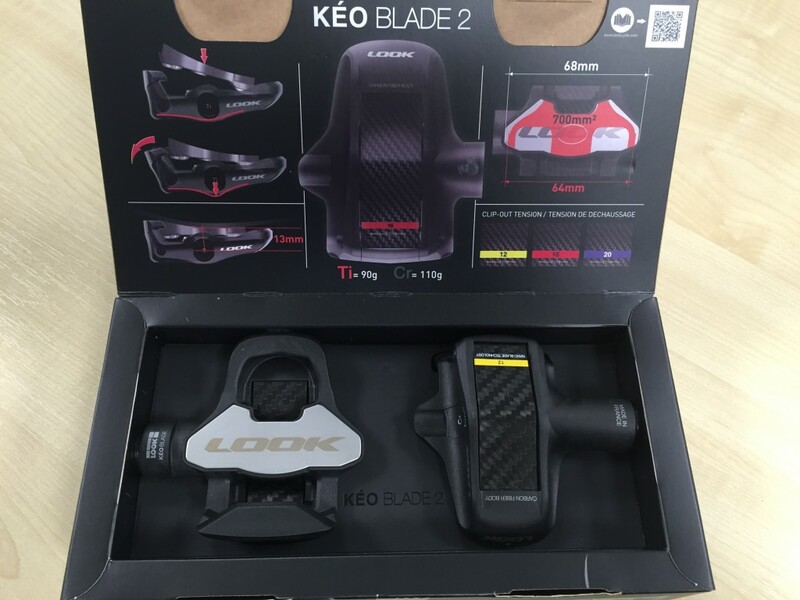 Given that I already use Look pedals on my road bike and have no bad words to say about them, I opted for their lightweight Carbon Kéo Blade 2 models for this bike… shiny! I have opted for the 12nm tension on the basis that this is what Look recommended for most people – the last thing I want to do is go back to falling off my bike! Other things on the list to change are the saddle. As discovered during my investigations I get on quite well with the split nose saddles. I’ve ordered an ISM Prologue as that was used during my fit however, I have a hankering for the Cobb Cycling JOF Fifty Five as I found the nose to be a little narrower. I also like the rear hydration mount and the fact that it is available in Green! I shall however give the ISM a reasonable test first. The final thing to change will eventually be the wheels, as expected. That will be subject to a whole new post at some stage! I fear this may take over my life. I assumed, somewhat naively that once i’d bought the bike that would be more or less it. I’ve since discovered the minefield that is tri bike hydration! I think i’ve made my mind up and will be going with a BTA system up front and assuming that I get the Cobb saddle, a dual cage system behind the saddle – with space for tools etc. The challenge though, is which BTA system! The Speedfil system doesn’t seem to appeal for no logical reason so I find myself deciding between the Torhans Aero Z, Profile Design FC35 and XLAB Torpedo 400 systems. There is no clear winner as the Torhans looks the better product to me, but has no integrated system for mounting my Garmin to it. I have decided to add all of them to my Xmas list and I’ll see which one I get! My final purchase has been a Bkool Pro Turbo Trainer/Simulator. I’ve liked this from the first time I saw it and having tried a few others out at various shows maintain that it feels the best to use. Something about Tacx didn’t work for me, Wahoo Kickr is too damn expensive and Elite are just changing the range and thus don’t have many options available at the moment. As you can see, it’s currently still boxed but I intend to make use of it over the winter to get used to the aero position on the new bike whilst hopefully alleviating boredom with the VR elements of it. The recent ANT+ FE-C update is great as it means that I can virtually ride the Ironman 70.3 Staffs bike course in my own lounge! 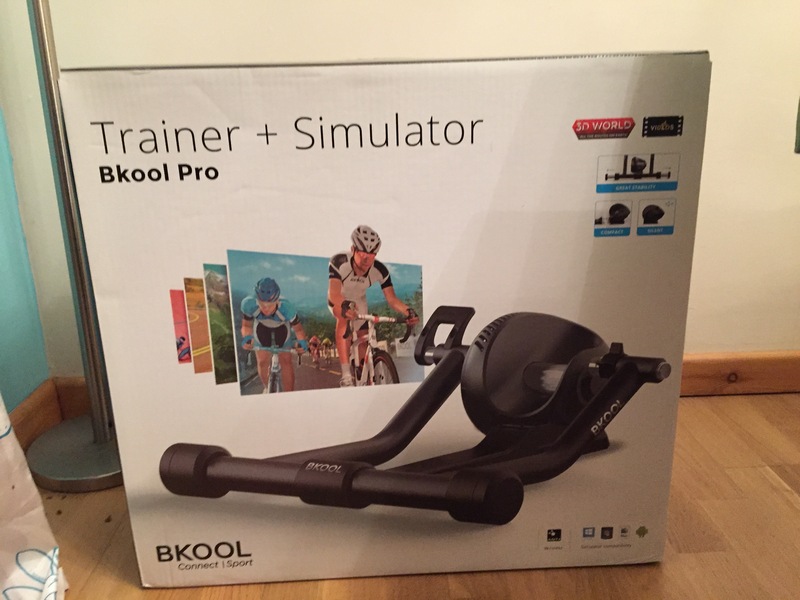 I can also look at Trainerroad and Zwift as other options, although the built in Bkool VR seems to be very similar to Zwift anyway. Trainerroad’s website, as of the time of writing, state that the Bkool is not supported, however I have had email confirmation that it is now supported using ANT+ FE-C.